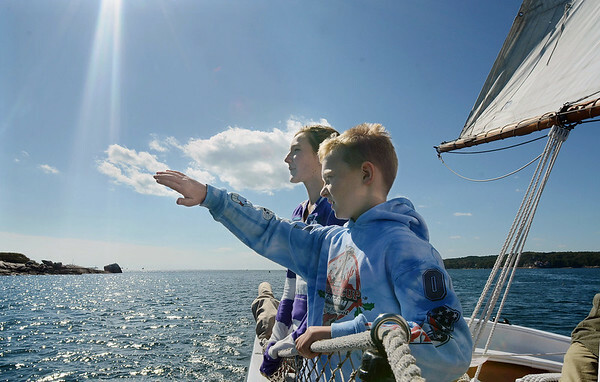 Plum Cove Elementary School fifth graders Connor Vittands, foreground, and Emily Ross look out over Gloucester Harbor from the schooner Thomas. E. Lannon Thursday, Sept. 27, 2012 in Gloucester. The students in Grace Scola's class were on a traditional fall field trip that began at the Cape Ann Museum and ended with a cruise on the Lannon.